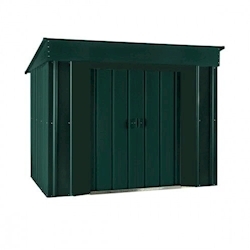 You'll find our excellent range of pent metal garden sheds here. You can choose from a variety of styles, all with a contemporary pent roof that is ideal for more modern gardens. The sloped roof provides additional headroom on entry, as well as increased storage towards the front of the building. You can also find a lean-to pent, with a space saving design that is perfect for all outdoor spaces. 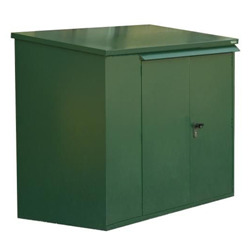 These sheds are manufactured from high quality steel that has been galvanised for corrosion resistance and weatherproof protection. 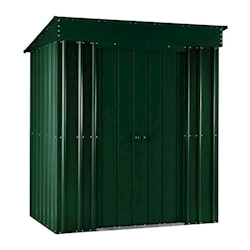 Find out more about our Pent Metal Sheds range. If you’re looking for a pent metal shed then here at Tiger Sheds we have a wide range of models so there’s certainly something to suit everyone’s taste. 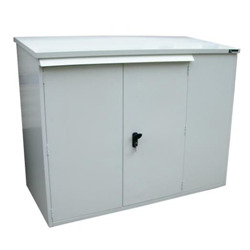 All of the steel pent sheds are made to the highest quality as we appreciate the importance of keeping your personal belongings and equipment secure and undamaged. 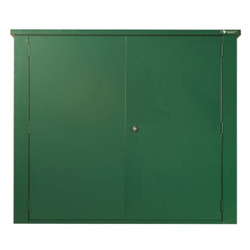 Each of the pent metal sheds have been designed with consideration to the environment and complexities of modern storage such as anti-drill and pick locks for increased security. Constructed from galvanised steel the different models are weather resistant ensuring that your valuables are safely contained. Here at Tiger Sheds we have a huge range of galvanised steel pent metal sheds so there’s a style and size for everyone’s garden space. Whether you want to store gardening equipment, safely store away anything from around the home or a safe spot for the bikes, we are confident that there is that perfect product that you've been searching for on this page. 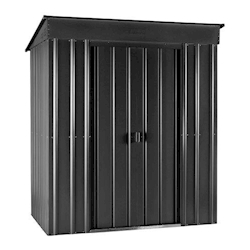 In pent metal shed range we have a great collection of products which all have different purposes depending on what you need. A huge advantage of picking one of these products are they will save you so much space in your garden and allow you to have more space to build and enjoy more things in your space. Free delivery on all products across most of the UK.